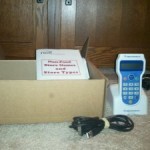 You are here: Home / Making Money / Win a $500 American Express Gift Card from Nielsen Consumer Panel! The Nielsen Home Scan Consumer Panel has openings right now in select areas! You’ll have to complete a short questionnaire (it took me less than 5 minutes) and they will e-mail you if you qualify! Each week when you submit scans from your household purchases, you’ll receive an entry to win a $500 American Express gift card! They give away 20 each month! If you submit weekly, you’ll also be entered into the quarterly drawing where they give away 40 $500 American Express gift cards! Scan you’re items as you’re adding them to your cart at the grocery store. Then, you don’t have to do it when you get home and the prices are right there in front of you if you have to enter them in! 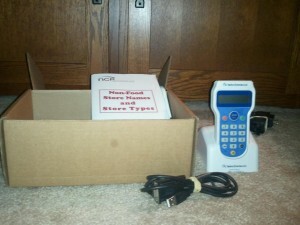 If you’ve been doing the Nielsen Home Scanning program and have tips to share, please let me know! 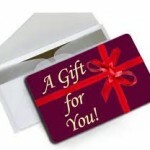 Nielsen Homescan has openings again: Get cash and prizes for shopping! 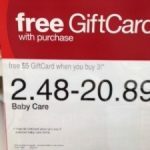 Nielsen Homescan Openings Available: Get cash and prizes for shopping! 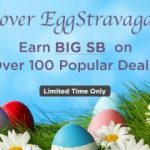 Earn bonus Swagbucks on Discover offers!